Nuherbs® Organic Herbs is a full line of USDA NOP-certified organic Chinese herbs that is an extension of our Nuherbs Lab Tested Herbs line. Because our customers expect it, we use the same rigorous testing as our Nuherbs Lab Tested herbs on these certified organic Chinese herbs. These organic herbs are sourced from their geo-authentic regions to ensure maximize potency. We carefully partner with farmers and wildcrafters whose values are closely aligned with ours to empower them to follow organic practices and know that there is a market for fruits of their hard work. 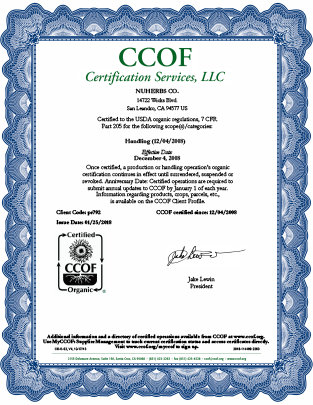 To follow the strict requirements of the organic certification, the herbs may be processed slightly differently than how they are done traditionally, resulting in non-traditional cuts. Full Traceability to their geo-authentic area. Quality & Safety powered by rigorous testing. Processed using our stringent good manufacturing practices. 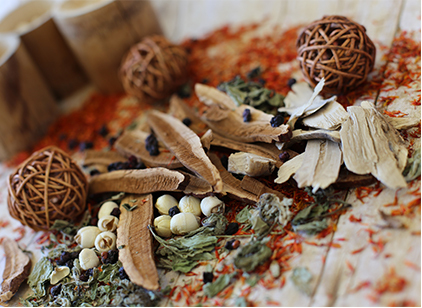 Explore our whole line of Nuherbs Organic herbs.